Volunteer with us on March 23, and help us haul off some home debris leftover from the demolition earlier this month at 1922 Battle Row. We need 20 volunteers to help get this done. We’ll start at 8:30 a.m. and if we have 20 people, it’ll be finished quickly. 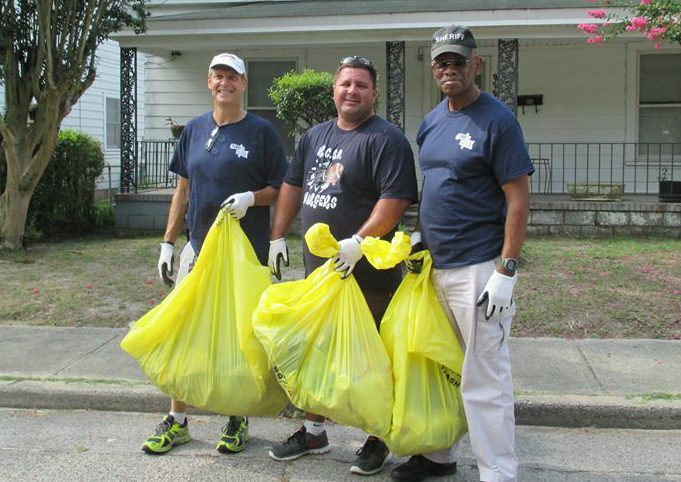 Join us Saturday, April 20th at 8:30 a.m. for the 5th Annual Harrisburg Clean and Green. This event is an opportunity for volunteers of all ages to get outside and help clean up the streets, sidewalks, and vacant lots in Harrisburg. We will be meeting at a new location this year, the Lamar-Milledge Elementary School on Eve Street. From there, supplies will be distributed and clean teams will be assigned. Children 16 and under must be chaperoned. All volunteers must sign a waiver before participating. On Saturday, March 2, 2019, we will be hosting our second block party of the year in conjunction with the Junior League of Augusta Day of Service. 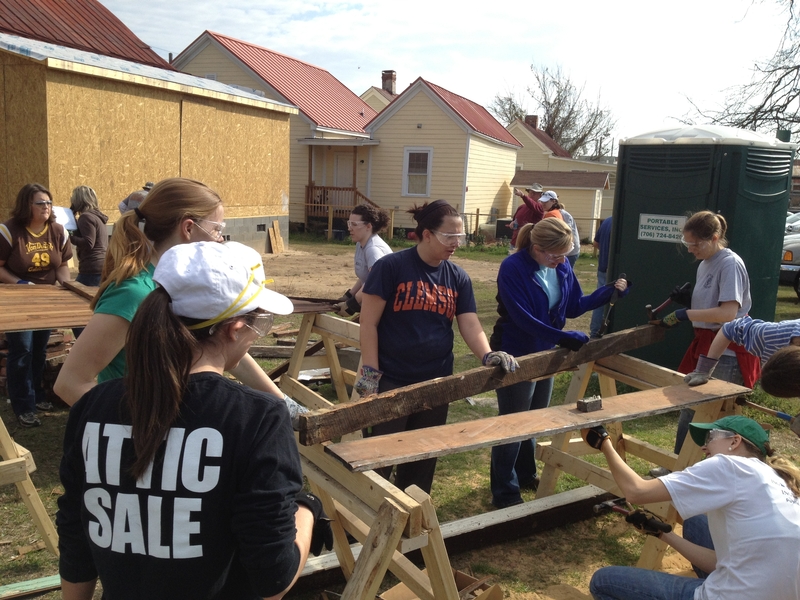 We are thrilled to have this group work with us and welcome additional volunteers to attend. Email Lauren Dallas for more information and to let us know if you’d like to work on March 2. Meet us at 8:30 a.m. at Turn Back the Block Headquarters at 1924 Battle Row. Please wear hard sole shoes, and bring work gloves if you have them. Save the date and volunteer with us on Saturday, April 20, for our 8th Annual Harrisburg Clean and Green! We will be finalizing details in the time to come, but go ahead and mark your calendar. 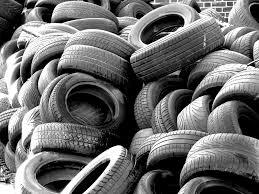 Volunteers will participate in general neighborhood cleanup by picking up trash and collecting tires to dispose at the Richmond County Landfill. We are in need of team captains, so please email Lauren Dallas if you are interested in leading a team and recruiting a few volunteers. Spread the good word and help us beautify Harrisburg!